Mom is the first ever close friend and the foremost teacher in our life. Whatever might be our achievements in life; we would remain the same little baby for our moms as the mom loves the child from the bottom of her heart. It would be our moral responsibility to express gratitude towards the loving mom at least on the special occasions. 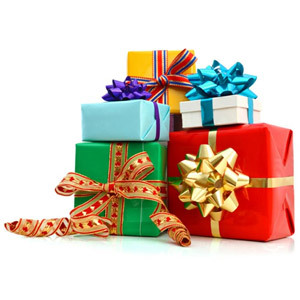 The online gifts shopping portals offer most exciting gift ideas that the moms would love to be gifted with. This is one of the most exciting online gifts for mom. The ceramic coffee mug with the capacity of 300 ml would be printed with customized text message for the recipient mom that reads: “NOT JUST ANY OLD STAR. OUR STAR. LOVE YOU LOTS.” The text message concludes with the names of the children sending this beautiful gift. Additionally the message on the caster: “MUMMY YOU ARE A STAR” would add spice to the expression of affection and love for the beloved mom. This is one of the most memorable, personalized gifts India for the beloved mom. The children are placed order for this gift online need to upload a front facing smiling photograph of the recipient mom along with them in the format and resolution as asked at the website. This image would be printed on the ceramic mug using the latest technology. Thus the coffee mug would become a perfect keepsake for the recipient mom. This is one of the most meaningful and expressive gift online for the mother. The aspirants that wish to buy online gifts for mom can choose such heart touching options to pleasantly surprise the beloved mother. The cushion would be printed with the text message “THANK YOU” that expresses the gratitude towards the loving mom. The cushion would be printed beautifully with a traditional artistic background. This designer jewellery made in sterling silver would be the most terrific gift for the recipient mom. These earrings would assist the recipient mom to carry her most gorgeous looks on the special events and festive occasions. The postcard carrying the earrings would be printed with the name of the recipient mother to personalize it; along with the text message with words of praise for the loving mother. This is another personalized surprise for the loving mother that would surely leave her overwhelmed. The calendar would start from the month the buyer selects. Thus this can be ordered at any phase of the year, according to the special day; such as the mother’s birthday, Mother’s Day or Women’s Day. The cover page of this calendar would have a text message including the name of the recipient mom. The aspirant children that wish to create lovable memories through the gifts for their moms can log on to Giftcart.com for fabulous gift ideas. 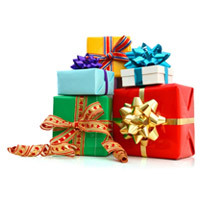 Giftcart.com hand-picks the gifts that are most relevant for the recipients.